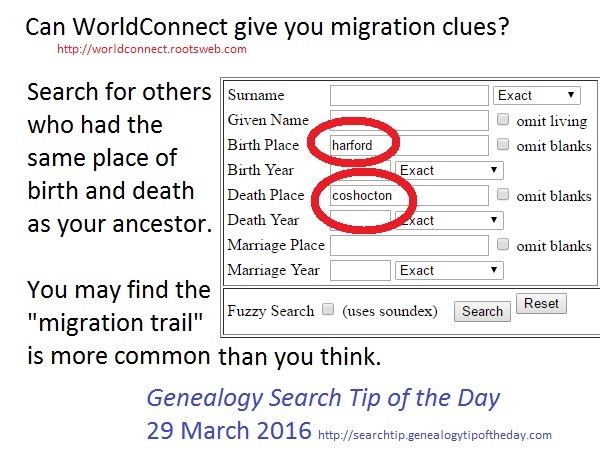 Migration Trail Clues from WorldConnect? That said the database can give you names that could be helpful. When I performed this search for natives of Harford County, Maryland, who died in Coshocton County, Ohio, I saw two relatively unusual last names that also appeared in one branch of the family who left Ohio for Fulton County, Illinois. 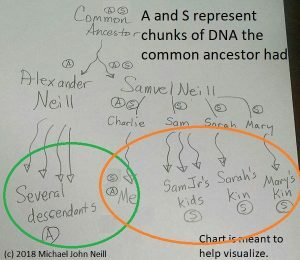 Clues from WorldConnect should be used as clues. They should not be used as fact.